The siren’s call/morning savior. Photo by Sarah Gainer. As the brunch enthusiast who brought you 10 Best Brooklyn Brunches, it only seemed right to hit the streets of Brooklyn to find the best brunch for your budget and your neighborhood. Brunch is never the cheapest of meals, but this roundup is all about finding the right balance of quality and value. 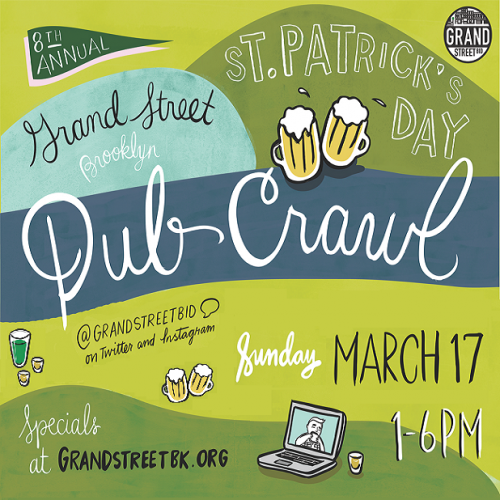 Though I begin in Greenpoint, I plan on roaming throughout the borough so you’ll always have a hangover cure/morning after spot even if you end up in an unknown neighborhood. (If you find yourself waking up in Manhattan, however, you’re on your own). For now, here are the best brunch spots in Greenpoint. The Deal: Relative newcomer Adelina tops my Greenpoint brunch list on Brokelyn and in real life. Owner Toby Buggiani has curated a personalized spot that is accessible to all, both in price and ambience; he walks the talk too as he can often be seen both working in the kitchen and greeting customers. On my first visit, I had to inquire about the portion size because the prices were so low. Happily, I can report that servings are generous and provide that ever-magical brunch coma that Brooklynites have come to expect. 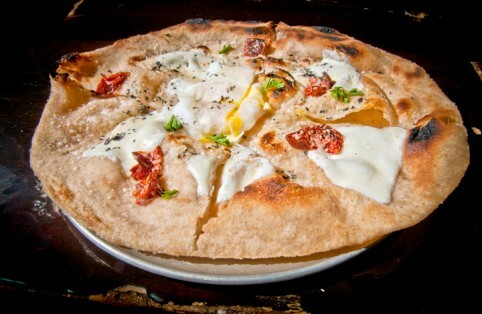 Though more traditional options are available (and delicious), my must-have brunch item is the Pizza Fritta Al Uovo, a full personal pizza with truffled egg, fontina & sun-dried tomato on fresh baked and fried peasant bread. A Brokelyn reader’s best friend, this large entree is yours for only $8. Items that have graced past menus include a frittata with sweet onions & goat cheese at the same price of $8. Many nearby joints charge $12 and above for similar items. The Deal: Sister to jam-packed 5 Leaves, Nights and Weekends offers a less overwhelming and equally delicious brunch experience. It took me over a year to dine here and I was beyond perplexed as to why the scenesters not even 5-minutes into their hour-long wait at 5 Leaves hadn’t hopped across the street. All items are ala carte and far from dirt cheap but portions are fair and a Latin American take on traditional dishes provides a refreshing change to your standard omelette. Plus, seemingly smaller entree plates like the tropical fruit salad with toasted coconut and goat’s milk caramel were actually too large for me to take on as my entree at only $6. The Splurge: I only say splurge because the pricetag isn’t particularly cheap, but the neighborhood favorite skillet baked organic eggs. It comes with your choice of chorizo, peppers, and potato, yuca, bacalao and Garbanzos, or caramelized plantain, sweet onion, and black beans. $11 I suggest skipping cocktails here if you’re on a budget, as they’ll set you back $10 or $11 each. The Deal: If you’re willing to forego table service, huge brunch potential awaits you at Cookie Road’s spacious new second location. This new site offers plentiful seating, free Wifi, and delicious locally-made items, both sweet and savory. Naturally the cookies are delicious and creative (try the earl grey shortbread), but when you’re on a brunch mission, nothing satisfies like a slice of frittata made fresh with potatoes, eggs, feta, and sweet peas, at nearby original Cookie Road (which is still alive and kicking at 94 Franklin St.), for $3.50. 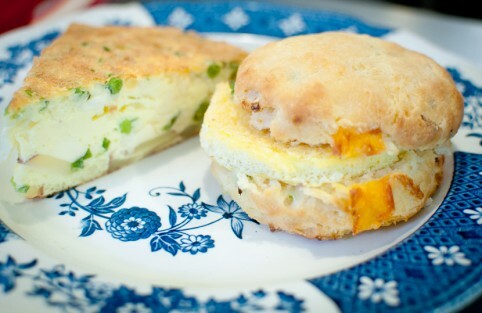 A cheddar and scallion biscuit with scrambled eggs is only $3. Yeah, that’s right; for less than a fancy latte, you can have it all. Make sure you arrive early, as they’re often sold out of these savory favorites before noon. Take it from me, I learned the hard way. 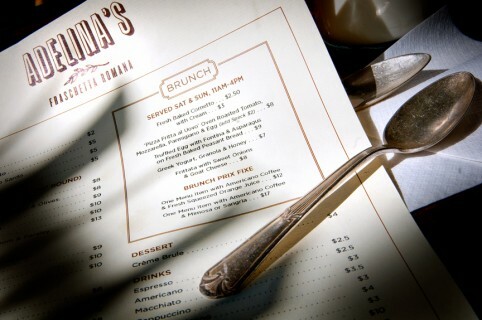 The Deal: Their $13.50 pre fixe brunch menu includes coffee and orange juice sans the prosecco with any entree. Menu items like the Brioche French Toast with McClure’s real maple syrup and fresh seasonal berries and the Pesto Cream Cheese Lox offer a scrumptious twist on your standard brunch favorites. 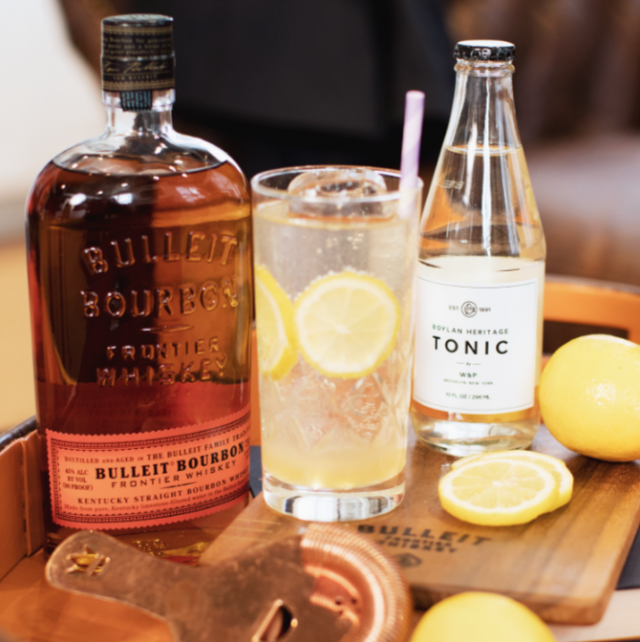 The Splurge: The cocktails here aren’t cheap but if you’re feeling fancy, they might be worth the extra cash. This menu changes constantly so stop by for details but my personal favorite includes honey as the secret ingredient. Honey! The Deal and The Splurge: Many brunch menus offer pre fixe options but at The Habitat, a relatively steep $19 pre fixe includes coffee/tea, choice of mimosa, bloody mary, or sangria and an entree. All menu items are served with mixed greens and includes one choice of side. (Like The Habitat, Anella offers a Greenpoint pricey $19 brunch pre fixe, but also serves items ala carte). The Deal: Although their price has gone up two dollars since my previous Brokelyn brunch post, this Columbian restaurant and bar remains an extremely affordable and all-encompassing brunch option at $16.50. This pricetag will snag you no less than three drinks (choose from sangria, mimosa, refajo, or fresh non-alcoholic juice), as well as a bottomless cup of coffee. All entrees are served with greens as well as a fruit salad and Bogota offers a range of dishes, from your more traditional french toast, to the eggs bolivarianos, made of toasty arepa halves, salchichón (col. salami), and poached eggs smothered in homemade maracuyá (passion fruit) sauce. If you’re a vegetarian or vegan, go for the puntaverde, with caramelized tofu, crisp strings beans sautéed in pesto sauce, and topped with sesame. The Deal: Holy wow. I almost didn’t include Champion Coffee because I want to keep this place all to myself. 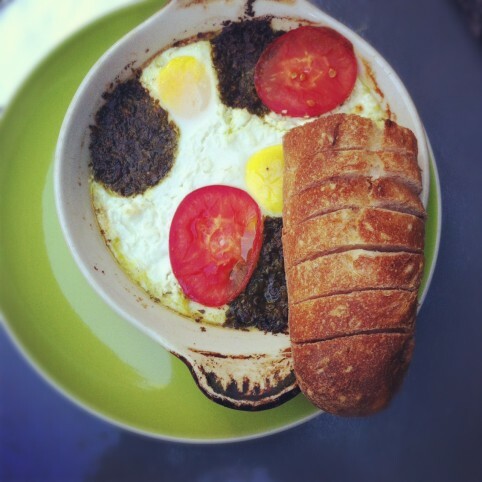 Their indulgent baked eggs, with your choice of cheddar and arugula or pesto and goat cheese, is only $5.50. A whole meal for $5.50 with the freshest ingredients. Champion brews Oslo coffee, which is strong and delicious. Their stuffed french toast with ricotta and maple syrup is equally affordable at $5.95. The Splurge: Save room for one of Champion’s delicious baked goods. 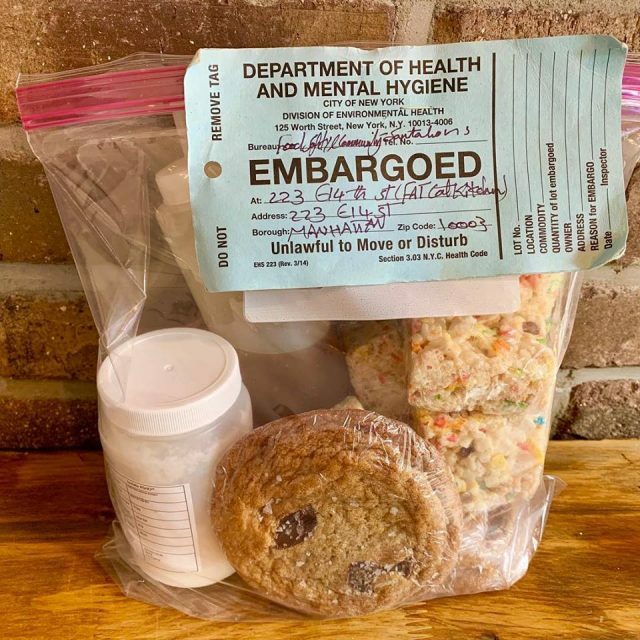 My favorites include the granola bar, which is almost cake-like, and the oatmeal raisin chocolate coconut cookie, each $2.25. This isn’t particularly a large sum, and since you’re saving so much on your entree, treat yo’ self. The biggest spurge here is the calorie content. Keg and Lantern has the most economical and tasty southern brunch in town. Free mimosa or bloody with any brunch entree! Little Molly’s Breakfast- eggs, toast is only 5 bucks (with free drink) ! wow, great list. we’ll be sure to check some of these locations out. I also love the earl grey shortbread cookies at Cookie Road. So good. Despite holding rank as our #1 brunch spot for years, The Habitat has stopped serving brunch for a few months now. Our price fixe alternative in the area has been Lobster Joint.